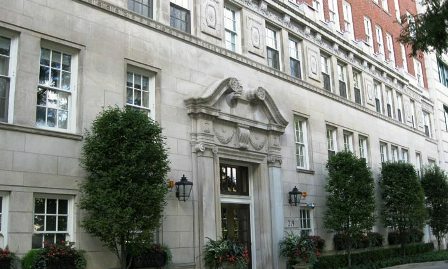 Across the street from Lake Michigan, 219 E. Lake Shore Drive condos for sale soar above its Gold Coast surroundings. Of course the views from these charming vintage condominiums are spectacular, but with the city's finest attractions within easy walking distance, you'll want to do more than just gaze at the lake. Shops, restaurants, nightclubs and more await you along Rush Street and the famous Magnificent Mile, while Chicago's sandy beaches can be easily reached on foot. With just 27 luxury condominiums across its 12 floors, 219 E. Lake Shore Dr condos afford residents a sense of privacy that can be hard to come across in downtown residential complexes. Built in 1922, this Gold Coast building offers loads of vintage charm while still remaining well-updated and well-cared-for throughout the years. Door staff man the entrance 24 hours a day, while garage parking is available for residents with vehicles. One pet per condo is allowed.